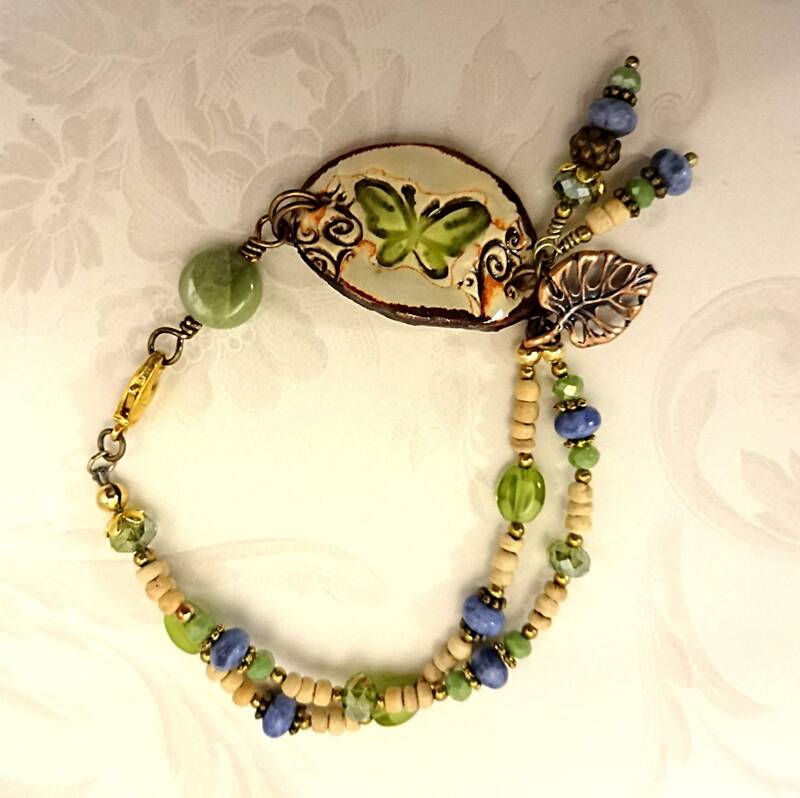 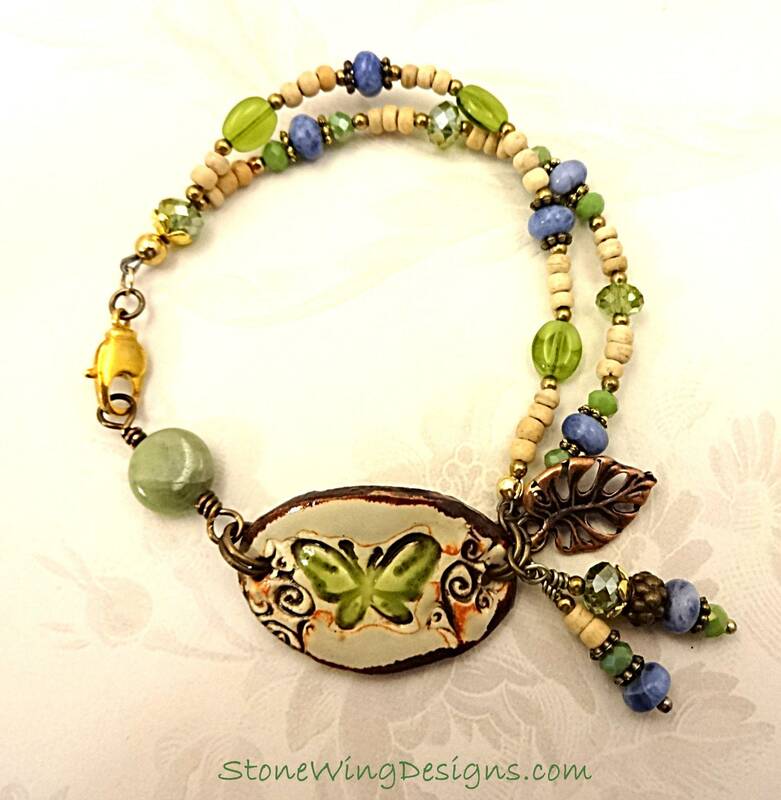 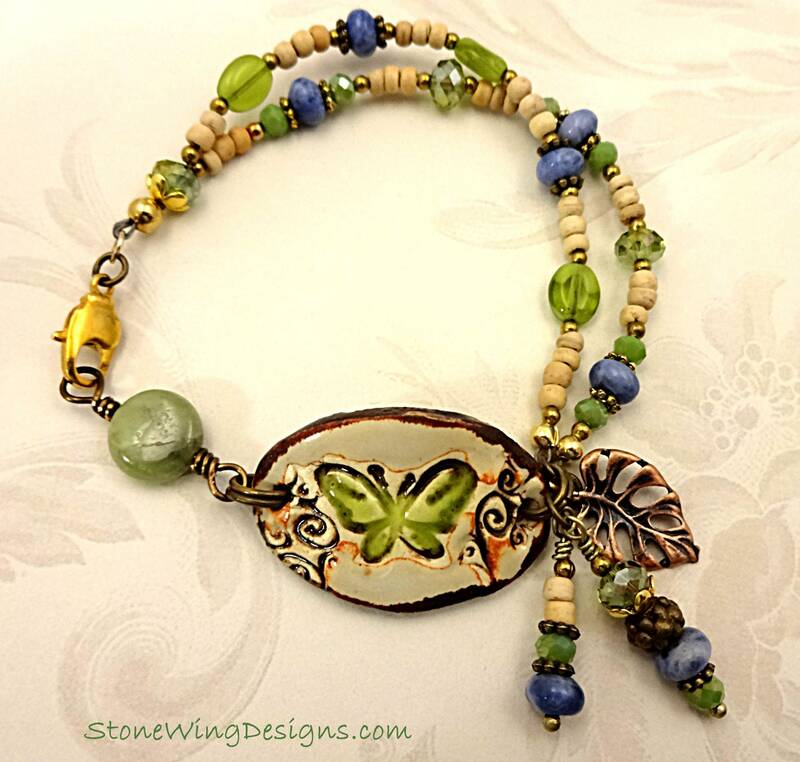 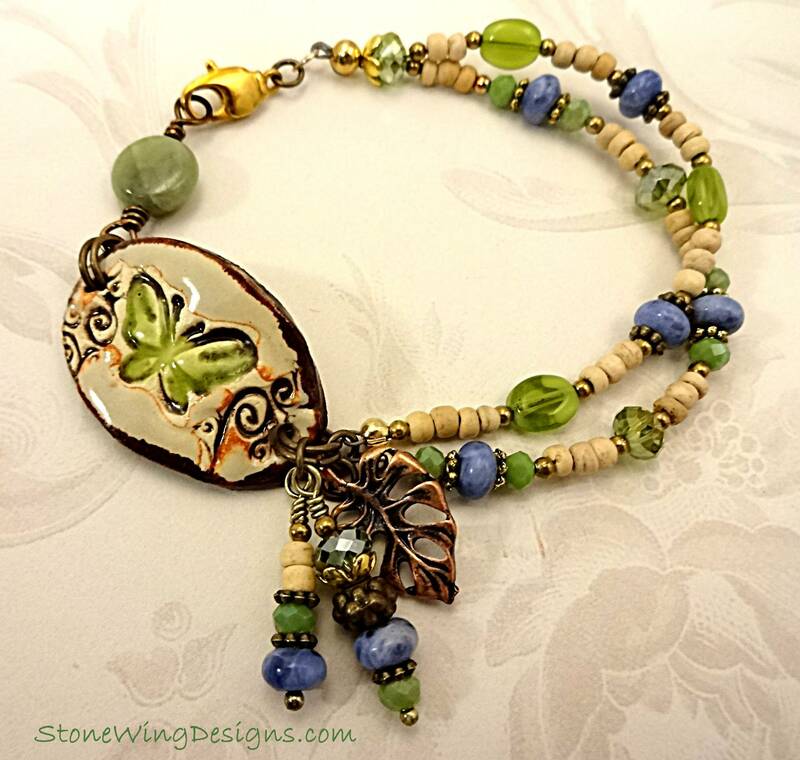 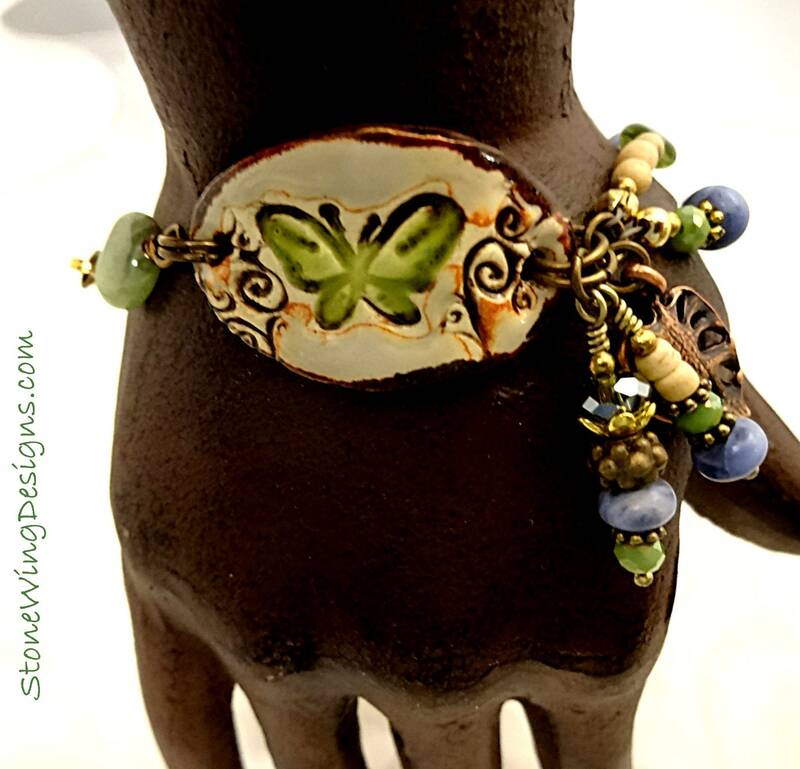 More of my favorite stones - Green Garnet and Sodalite with a gorgeous rustic ceramic focal with a green butterfly. 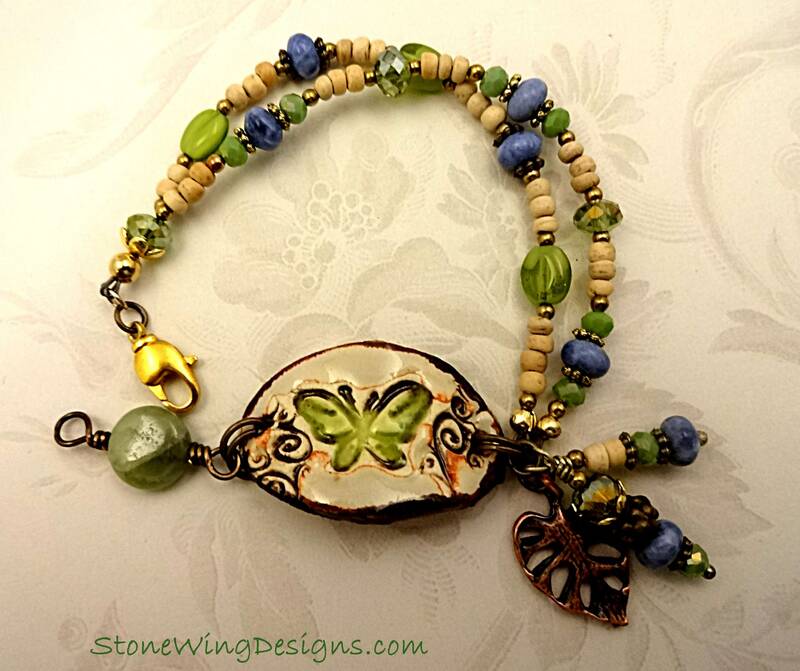 I added green glass ovals and faceted Czech Firepolish rondels and off white spacer beads. 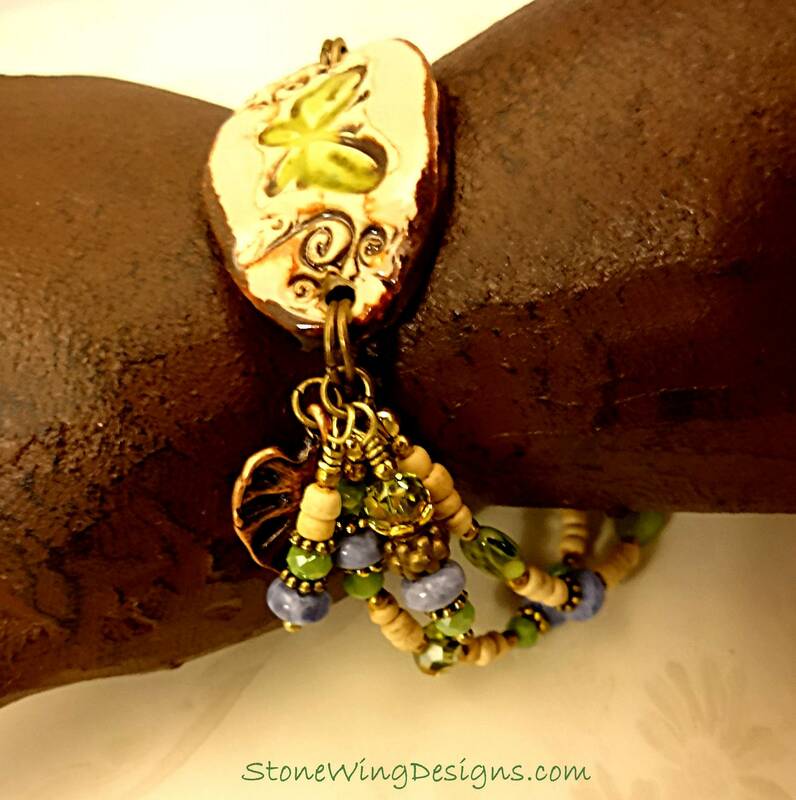 Two strands and 3 dangles with a copper leaf to add interest. 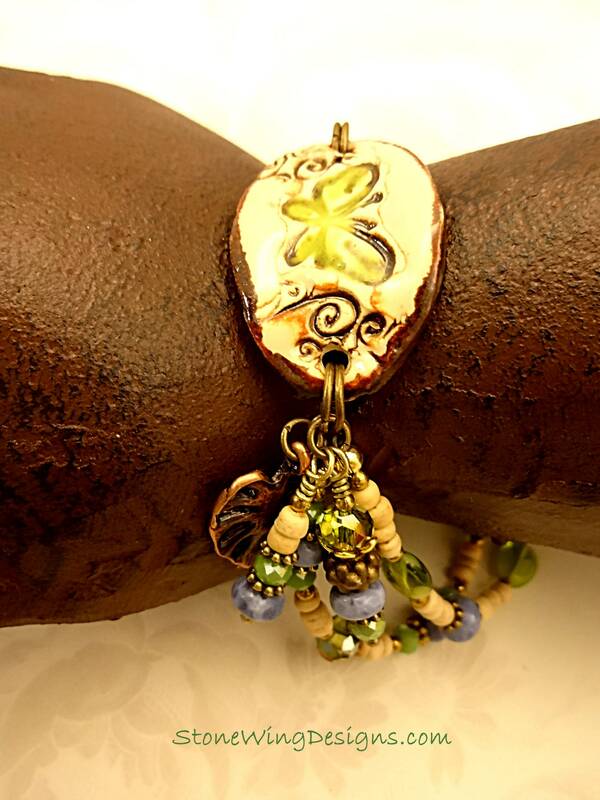 The clasp is a gold plated brass lobster clasp.